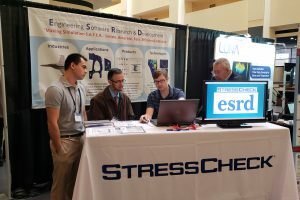 Coming Soon in StressCheck Professional v10.5 | ESRD | Engineering Software Research and Development, Inc.
…are lots of terrific new features! Good news, everyone! 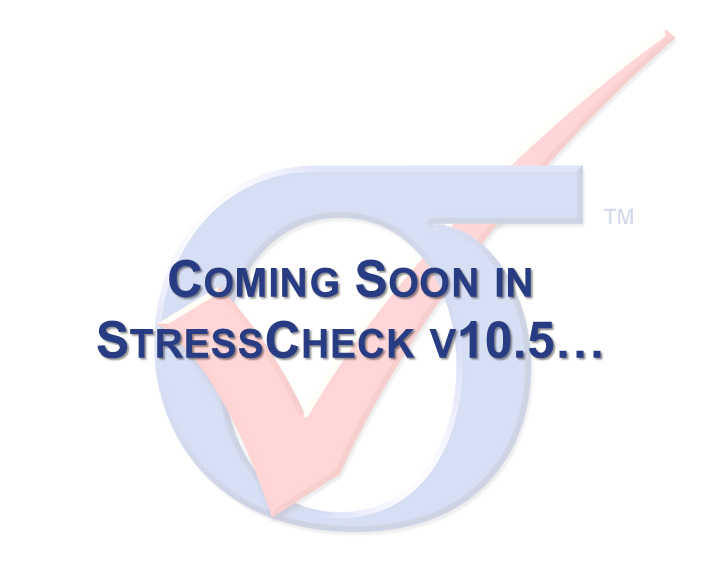 We are working hard to finalize StressCheck® Professional v10.5, and we’d like to share some of the latest features and enhancements users can expect to see in the next release (anticipated for Spring 2019). New Force/Moment and TLAP-Traction Cross Section features for converting force/moment inputs to statically equivalent linear traction distributions. Works for co-planar cross sections of arbitrary shapes. New autocorrection feature for Bearing and TLAP-Bearing assignments to correct the resultants for non-cylindrical holes or suboptimal meshes. Acceptable deviations from cylindrical holes include holes with tapered ends, truncated holes, holes with cutouts, and more. New option for assigning material properties, thermal loads, body forces and/or p-Discretization directly to solid bodies (Any Body option). 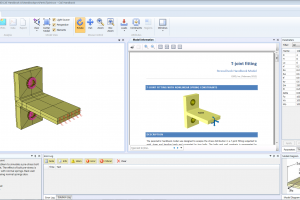 Facilitates assignments to individual bodies in multi-body contact assemblies. Multiple enhancements to incremental theory of plasticity (ITP) solution logging and results processing. Extraction of plastic strains (directional, principal, and von Mises) now available for 3D ITP solutions. Detailed logging of all ITP solution events, including event steps and convergence information & boundary condition parameters for each step. Improved sequential name sorting of ITP solutions in results drop-downs. “Blanking” of element faces and face surfaces now hides associated elements from the display. Curve resolution, in addition to surface resolution, may now controlled by the Object Resolution. StressCheck® file version/build numbers now stored with project log for increased visibility of file origin. Long solution names now wrapped within plot legend. Want to help us improve StressCheck Professional? 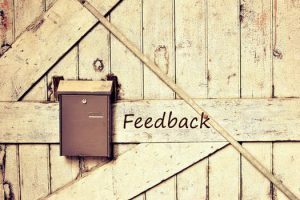 Fill out this short (3-question) survey and you will automatically be entered in a random drawing to win a $50 Amazon gift card!